The world is increasingly grappling with complex environmental and social problems, and the need for professionals skilled in navigating these issues has never been greater. At Goshen, you’ll learn to think deeply about these issues in our society, but you’ll also have many chances to practice what you’ve been learning through real-world problem-solving. In any given semester you’ll go on a variety of field trips to learn how professionals and community members do their jobs and how they connect to sustainability, but you’ll also be learning practical skills like baking bread, preserving food and canoeing as a form of local tourism. The world is increasingly grappling with complex environmental and social problems, and the need for professionals skilled in navigating these issues has never been greater. 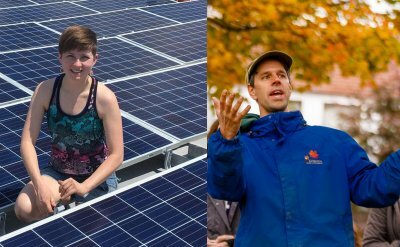 The Sustainability Leadership Semester, at the Merry Lea Environmental Learning Center of Goshen College, is for any major interested in making a positive change in the community they live in. It is also the foundation of the sustainability studies major and the sustainability minor. During this 13-week program, you will live with other students in sustainable LEED Platinum-certified “green” buildings, cook food from produce raised on site and make group decisions about limiting consumption — all while learning about societal and environmental problems. You’ll spend your days learning about the local watershed by investigating Merry Lea’s diverse 1,189-acre nature preserve — and a week canoeing on the Elkhart and St. Joseph Rivers. Much of your learning will happen outside of the classroom: in marshland, prairies, living rooms and kitchens. 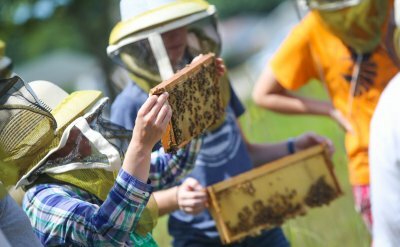 Whatever you’d like to do after college — whether it’s pursuing further studies in one of many sustainability-related fields or diving right into the challenging and thrilling work of solving problems in communities — studying sustainability at Goshen will get you ready for it! Learn more about the Sustainability Leadership Semester, a key part of the sustainability studies major or sustainability minor. Noemi Salvador, a 2017 peace, justice and conflict studies graduate from Quito, Ecuador, is passionate about raising awareness of environmental issues in Ecuador. 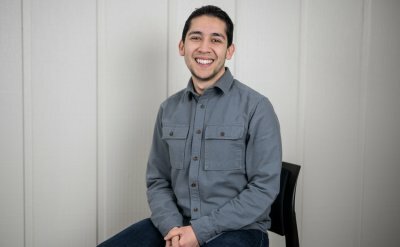 Jose is a multi-talented sustainability studies and sociology double major who has found ways to be a leader at Goshen College. Jess, an environmental science major from Indianapolis, dreams about having her own farm some day with ducks and goats and many different crops.